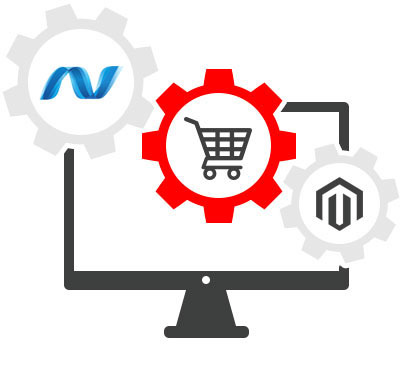 Custom eCommerce Solution: A unique solution built especially for your business model with all the features you need to excel, all built according to your specifications. ASP.Net Storefront: Ideal for interactive applications and enterprise-class web solutions. Magento: Flexible and feature-rich, Magento is popular for many online eCommerce solutions. Quick checkout features bring your customers back for more. Easily-searchable product line allows customers to find what they need. Allow customers to manage their profile, create wishlists and view their orders, refunds and shipments whenever they want. Manage your inventory, products and shipments, as well as integrating different payment methods. Social media tools, affiliate marketing solutions and more – sell your product. Powerful systems built with simple code allows you to get selling quicker than ever.